About 3/4 of my students have only ever been to one school – PEPS – since reception (first year of school/prep). These students have only experienced language teaching with me and are thus very familiar and comfortable with my routines and expectations in the Indonesian classroom. Consequently I also know these students very well, I know their family history, their siblings, their strengths and weaknesses, their hobbies etc. By the time they get to year 7, I have been their Indonesian teacher for 8 of their 12-13 years of life! This relationship has taken years to build and with my recent explorations into TPRS, I am beginning to realise just how important these relationships are. The other quarter of my students consists of a group of children, some of whom have been to many primary schools and unfortunately for a few, PEPS will not be their last either. This group of students have moved either internationally, interstate, intrastate or even locally from one of our nearby local primary schools for a variety of reasons and whatever the distance they have travelled to move to our school, starting at a new school can be overwhelming. The older the student, the more complicated it can be. One of the complications involves adjusting to new teachers and often very different teaching styles and pedagogies. This last group of students, for me, contains some of the hardest students to engage with. I am just one more new teacher they have to get to know and for most of these students, the language they learned at their previous school was not Indonesian and unfortunately too, for most of these students they do not bring with them positive memories of learning that language. Quite a lot for me to overcome and for one or two older students, unfortunately, this ingrained negativity remains. So disheartening. The mixture of hormones, peer acceptance and being ‘cool’ together with the knowledge that high school is just around the corner is too much for them. In one of my older classes, I have 2 boys, Kane and Jack (not their real names). Both are very quiet and reluctantly participate in class discussions. Both come from tough city neighbourhoods and dysfunctional family backgrounds. Both boys started at our school at the beginning of this school year. Both have learned that to survive, you need to keep your head down and stay under the radar. Insisting on eye contact with them both during lessons is exhausting and to be honest, something I give up on early in the lesson to ensure I don’t loose momentum &/or student focus. Neither boy is my “barometer student” because it is rare to have eye contact or to gain a response from them. If I ask them a question, (eg. Billy mau beli apa?) based on the PQA we are doing, a very simple question that has the rest of the class busting to catch my attention to answer it, both boys will hang their head or look at me vaguely. My assumption from this was that that firstly neither had been 100% focused and therefore had missed so much either due to day dreaming (Jack) or being hyper-vigilant of the movement near him (Kane) or secondly that I had gone too fast and 100% comprehension had not been achieved. Then a chance encounter helped me understand what was actually happening with these boys. Kane’s older sister wanted to talk to me about a personal matter, so we arranged to meet for a dog walk at the beach. She arrived with Kane!! We walked along the beach with Kane having a ball playing in the waves with the dogs. It was just lovely having the opportunity to interact with Kane out of the classroom and watch him enjoy his new life down here in our beautiful part of the world. At the end of our walk, we sat down and chatted while Kane brushed the sand off his feet and put his shoes back on. The conversation turned to Indonesian and Kane’s sister asked him what he could say in Indonesian. He then proceeded to demonstrate that he had remembered all the vocabulary we had covered that week from the 2 movietalk trial lessons I had done. In class, Kane had said that he was having difficulty comprehending our discussion about the pasar burung in Jakarta. So this demonstration of Indonesian left me dumbstruck!! And then the penny dropped. Both Kane & Jack have much in common. TPRS pedagogy actually suits their style of learning perfectly because both are passive learners and definitely not yet risk takers. They enjoy TPRS pedagogy where they can sit down and just listen- it’s a pedagogy that allows them to stay right in their comfort zone until they are ready to venture out. A pedagogy that allows them to participate on their terms and still be highly included in the lesson. Both prefer not to contribute to discussions at this point, largely because they lack the confidence to ‘have a go’. Neither wants to make a mistake in front of their peers, even after 12 months. Yet, the most exciting thing is that TPRS allows them to do this; with or without a conscious decision on their part! 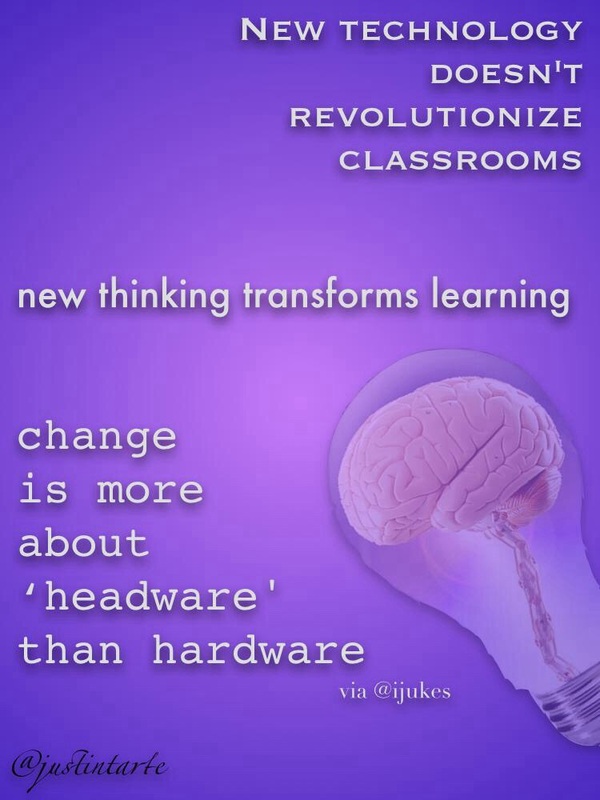 They love the high focus on input rather than traditional pedagogies which focus heavily on output. How lucky am I to live and work in a small community where such an encounter could happen. This opportunity not only gave me insight into that group of students who have concerned me previously, but has also made me even more determined to continue with my TPRS learning journey in 2015. While traveling in Indonesia last year, I caught many buses. Throughout Java and Bali, I frequently had buskers jump on board and serenade us before handing out the lolly bag to collect donations. Read my post here. What a fascinating topic for a film and one I really hope to get a chance to see it one day! Daniel Ziv’s documentary feature Jalanan (Streetside), currently screening at the Melbourne International Film Festival, is a film that seeks to move its audience. Documentaries sometimes invite viewers to social and political engagement. To do this, they might put viewers into uncomfortable situations. 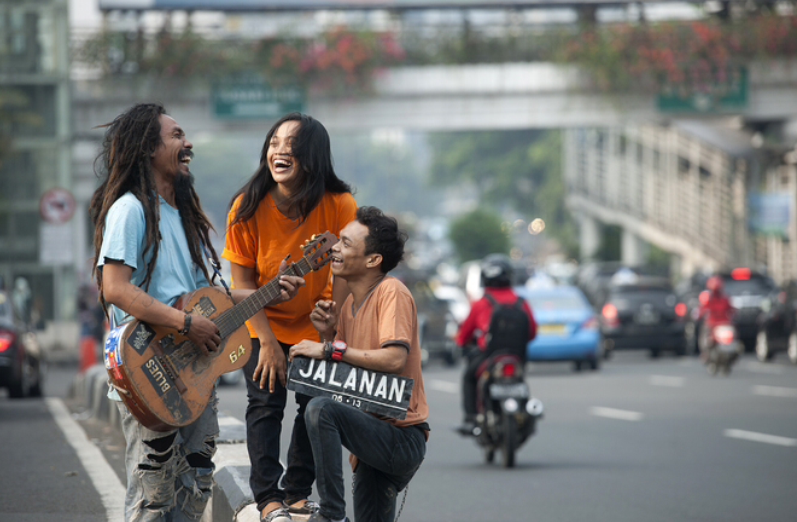 Jalanan, the story of three Jakarta buskers, Boni, Titi and Ho, is this kind of film. Ziv, an Indonesia-based Canadian filmmaker, filmed the three street singers for six years. He pointed his camera at their reality and homed in on the social and political forces that shaped it. By telling the stories of Boni, Titi and Ho, Jalanan brings to the screen the hardships and precarious lives of marginalised people in one of the most economically promising Asian countries. Jalanan presents the three as aspiring individuals with self-actualisation needs amid the hardship they encounter on a day-to-day basis. Boni, an illiterate “singer-songwriter”, has been living in a canal tunnel with his wife, Rita for ten years. He dreams of a proper home yet all he can do is paint the word “Hyatt” on the tunnel wall. Titi is a mother of three. Her children are scattered in three different cities. She sends money for her sickly father’s medication and for her child’s education in the village. Titi stresses how important it is that her children “not be a busker” as she is, signifying the importance of making the leap in social class. The other busker, Ho, sings his political songs with a rugged voice, suggesting that his listeners “hang the corruptors”. He lives alone and tries to find true love. Jalanan is screening at this year’s Melbourne International Film Festival. With these aspirations, the documentary subjects qualify as protagonists in a neo-classic Hollywood story: an individual tries to achieve something and faces obstacles in the process. Jalanan benefits from this model of storytelling. It avoids didactic forms and, rather, asserts some kind of audience self-identification. Wanting a better place to live, improving social status and finding true love are universal aspirations. Just like in Hollywood, Jalanan also brings closure to the protagonists’ venture, keeping the audience from seriously questioning what happens to them after the screening. Beyond the film, the filmmakers have started a crowd-funding initiative to provide houses for the buskers. Viewers in Indonesia won’t escape the irony when they go to cinemas in luxurious shopping malls to watch Jalanan. But filmmakers have no choice but to screen their work in this way if they want their films to reach a larger audience in Indonesia. Gentrification of Indonesian movie theatres since the 1990s has seen small cinemas fold and mega-cinemas thrive. Jalanan provides enlightenment and entertainment, of some sort, for the middle and upper class of Jakartans who are willing to spend their money on a diverting spectacle. In Indonesia, it has a limited distribution in 21 Cinepelex, the cinema chain that dominates the country’s film distribution. Despite its limited distribution, Jalanan has benefited from its status as a documentary film. Audiences often perceive arguments presented in a documentary as undeniable truths. Sometimes, the documentary form can prompt viewers’ social and political engagement. Jalanan managed to do this when acting Jakarta governor Basuki “Ahok” Tjahaja Purnama watched the film with his staff (the governor, Joko Widodo, now president-elect, was taking leave for his presidential election campaign). Ahok saw many things that fell under his responsibility go wrong in the documentary. Seeing the “jail”, which is actually a social rehabilitation institution where Ho was locked up, disturbed Ahok. In the film, Jakarta public order officers arrested Ho for busking and for not having his identification card. According to Rolling Stone Indonesia, Ahok immediately discussed with his staff what he saw in the documentary. He instructed them to close down the “jail”, expedite the development of apartments for the poor and ease regulations for newcomers to get their Jakarta ID card. He also ordered his staff to eradicate corruption in public offices, especially the religious affairs agency responsible for providing marriage certificate. Jalanan’s influence on public policy in Jakarta might be a one-off. It’s hardly a typical outcome for a documentary, after all. Documentary films work hard to promote social or political engagement – or at least an awareness – with their subject. For the next level of engagement, it helps to have “reformist” public officials in the audience. The Melbourne International Film Festival 2014 runs until Sunday August 17. I have just found an amazing video about Jakarta which will be perfect for preparing my students for our Jakarta visitors later this term. Have a look at this! This video not only gives students a fantastic idea of Jakarta but it also explains why it is a mega city! I thoroughly recommend it for just about all ages. Even very young students will gain something from the visual feat which are excellent and provide many opportunities for extra curricula discussions.